Краткое описание: The Super Spy Hunter has a super spy car. It's actually a well-armed car that can turn into a boat or a plane at opportune times. 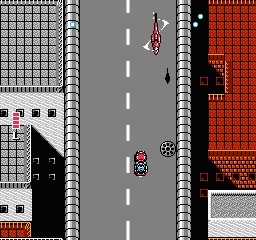 The action is fast vertical scrolling as the vehicle faces all manner of powerful vehicle threats from a well-funded terrorist enemy -- cars, trucks, helicopters, etc. Luckily, there are many powerups to collect along the way, both defensive and offensive. 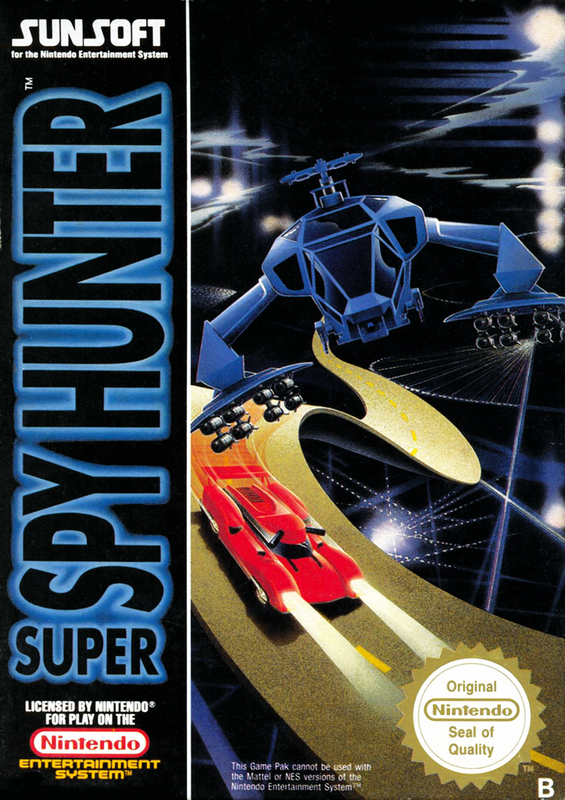 The Super Spy Hunter has a super spy car. It's actually a well-armed car that can turn into a boat or a plane at opportune times. 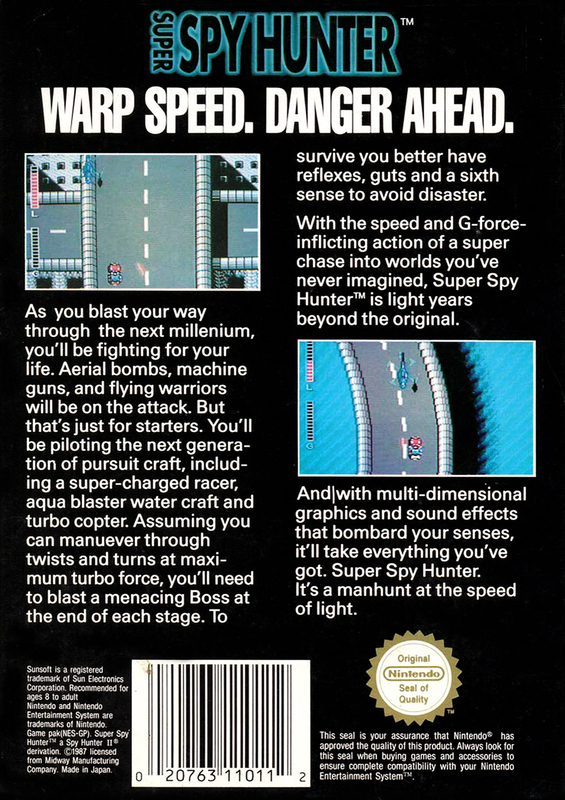 The action is fast vertical scrolling as the vehicle faces all manner of powerful vehicle threats from a well-funded terrorist enemy -- cars, trucks, helicopters, etc. Luckily, there are many powerups to collect along the way, both defensive and offensive.